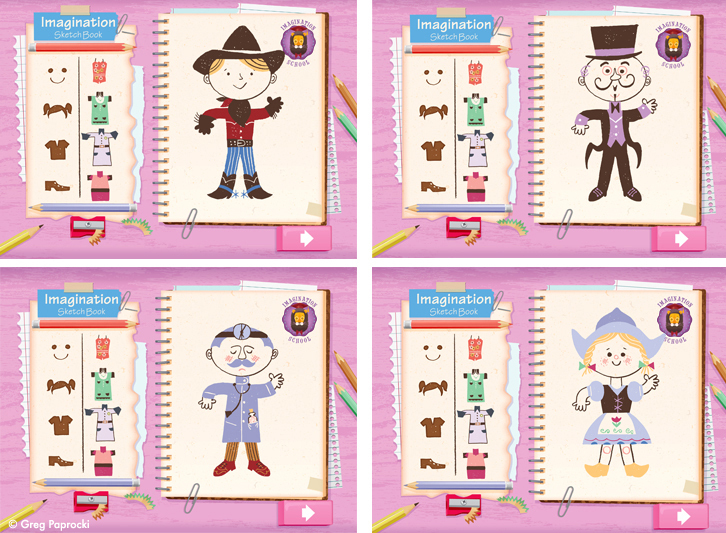 Greg always loves a new challenge. 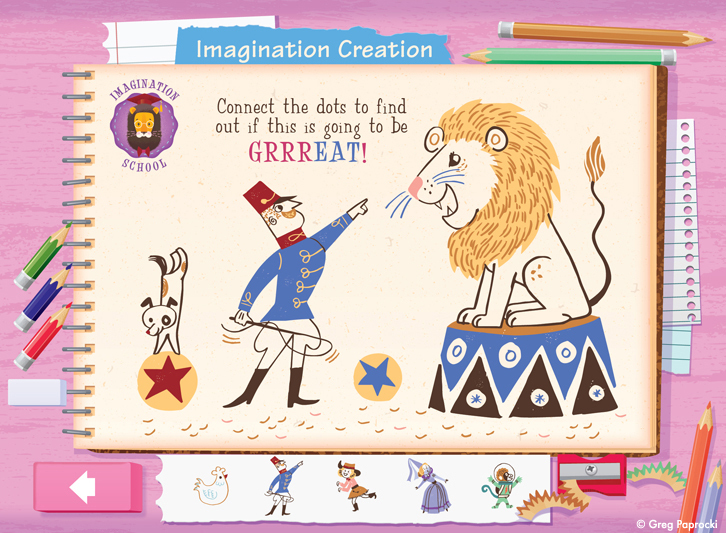 Together with his writing partner and wife Beth, they have created several books and have recently ventured into the world of apps to complement many of their creative properties. 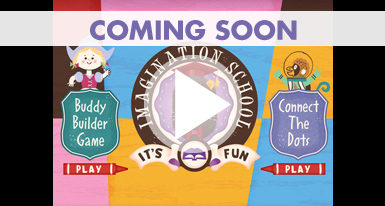 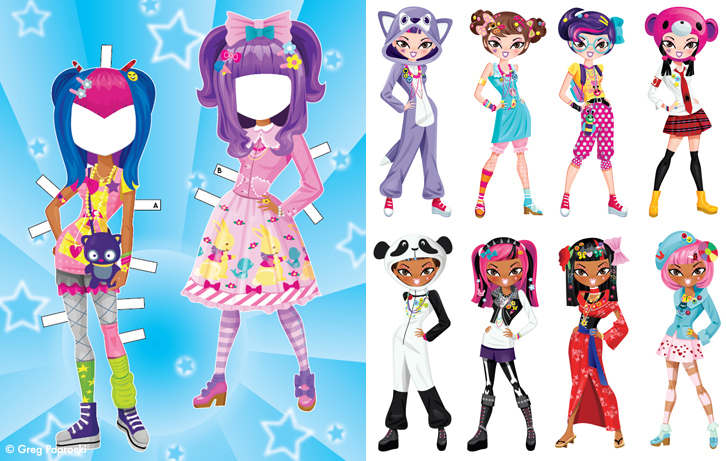 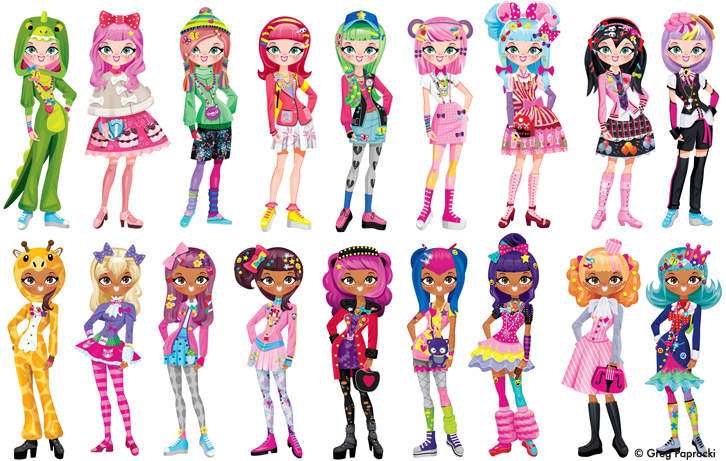 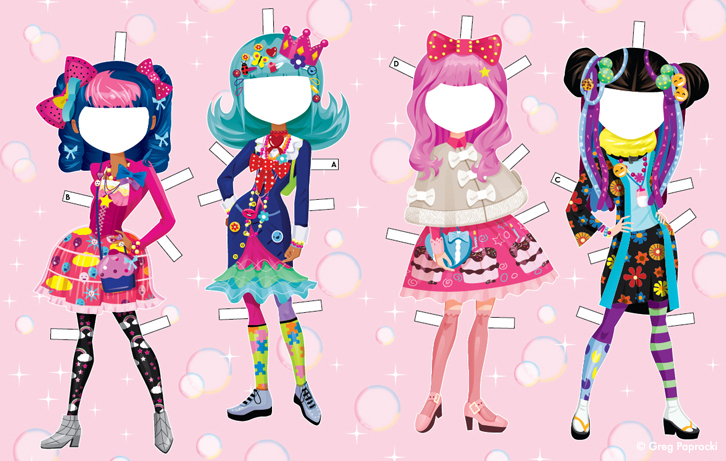 This interactive dress up gameÂ is fun for the little tikes, tweens or anyone who want to indulge in a little fashion folly. 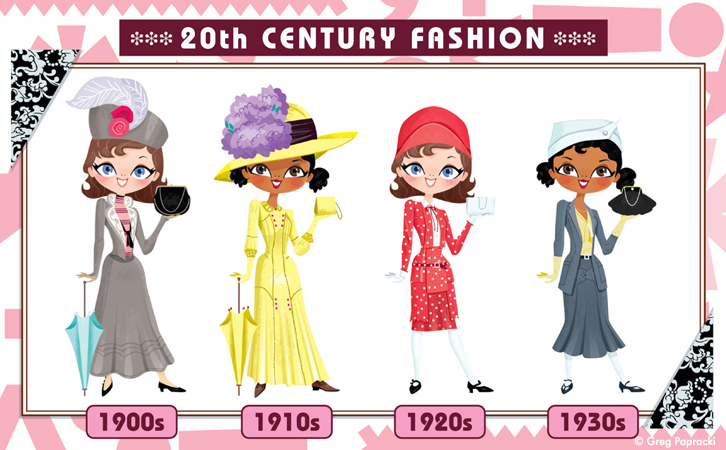 Pick your model and raid the closet containing clothes and accessories ranging in vastly different styles and eras to produce one ravishing fashionista. 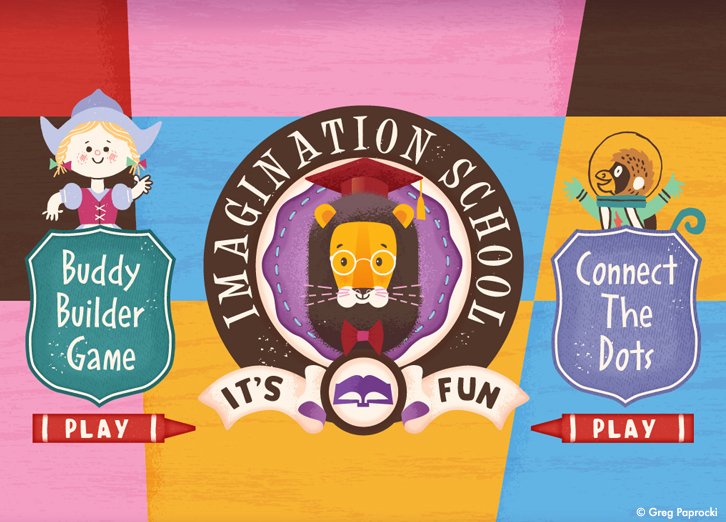 Greg partnered with Dewey Automation to bring this app to life. 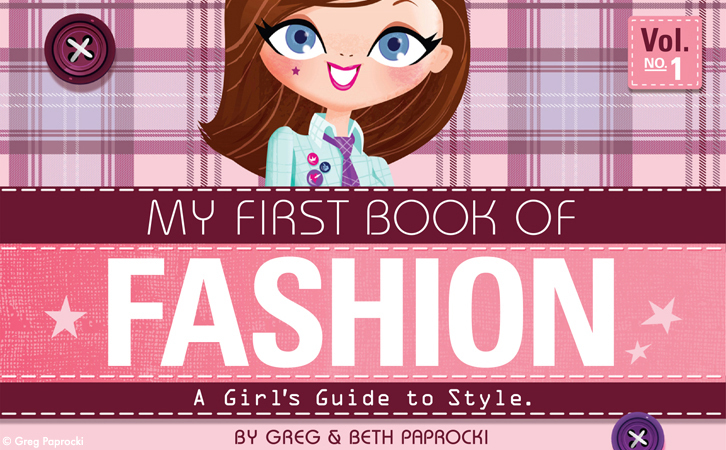 My First Book of Fashion, A Girlâ€™s Guide to Style. 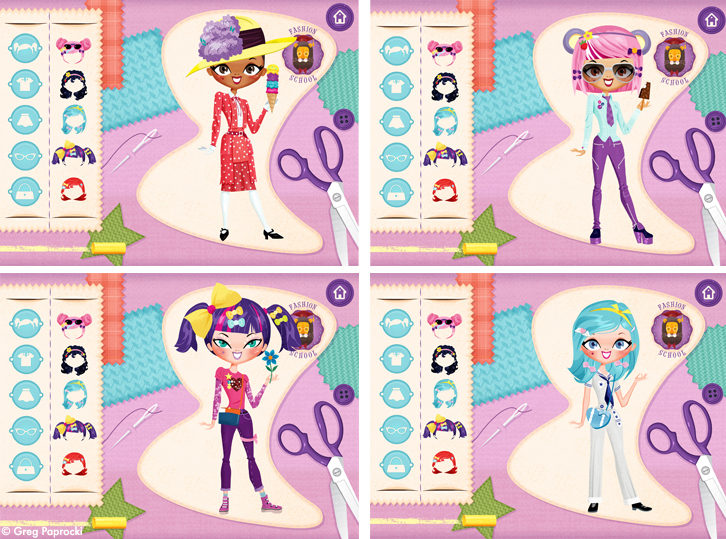 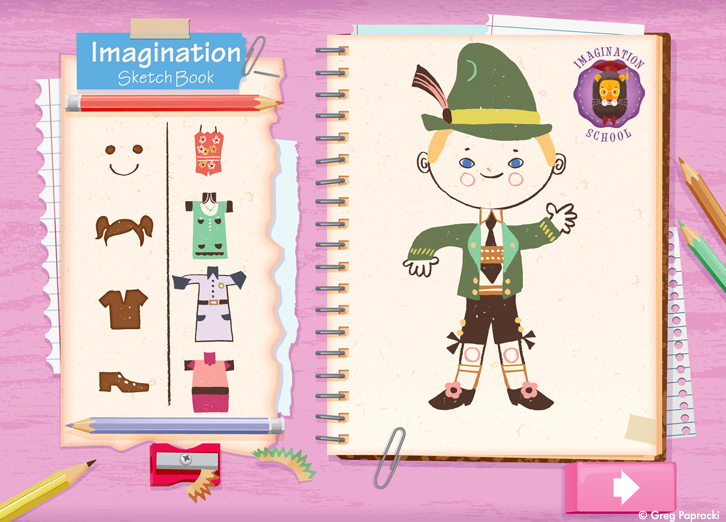 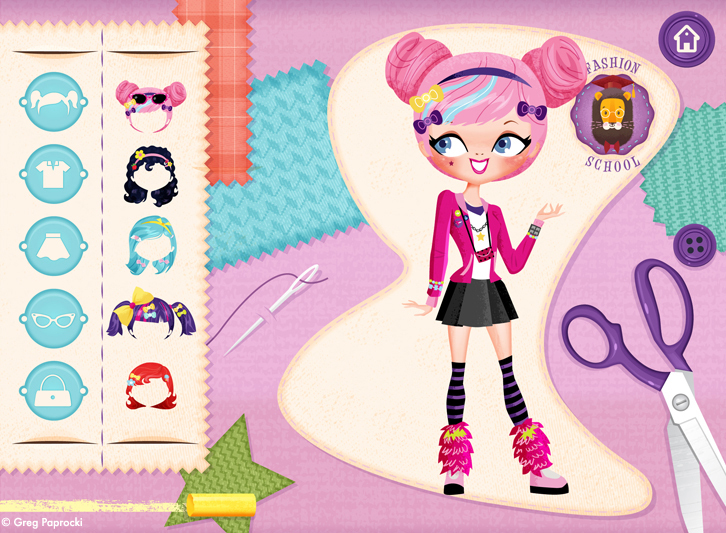 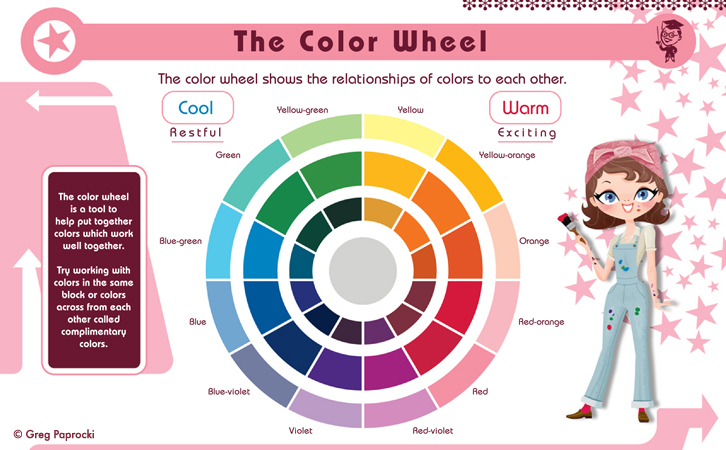 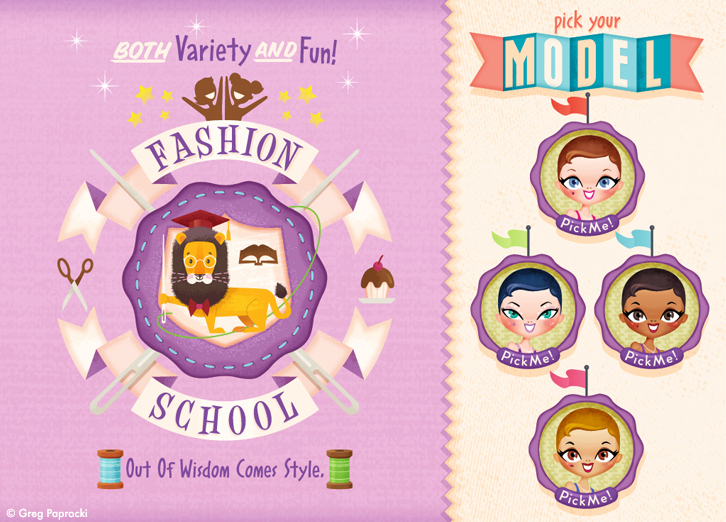 This adorable companion book for the Fashion School Dress Up Game equips little designers with the basics of fashion. 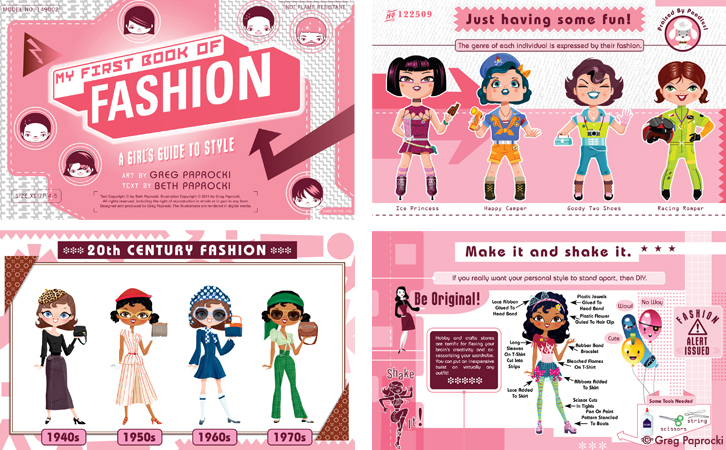 Included are a brief history of design, lessons in color theory, dos and donâ€™ts, all beautifully illustrated by Greg. 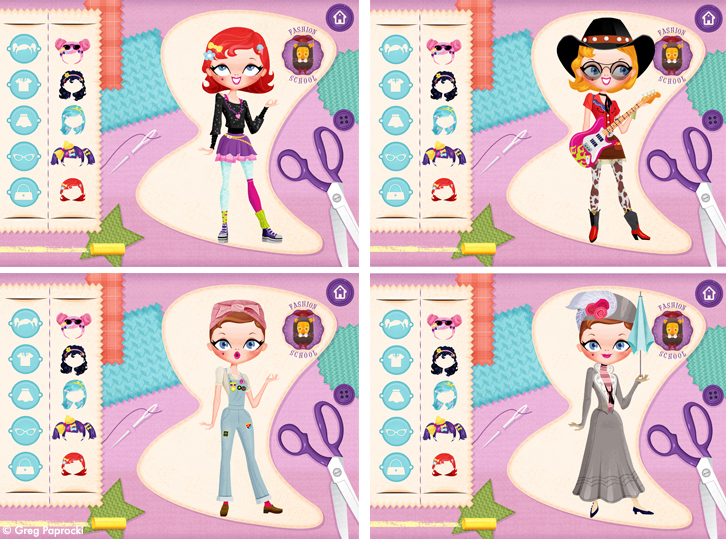 Similar in concept to the dress up game, this simplified yet utterly adorable game allows the user to create characters, male or female, and outfit them in hundreds of possible ways. 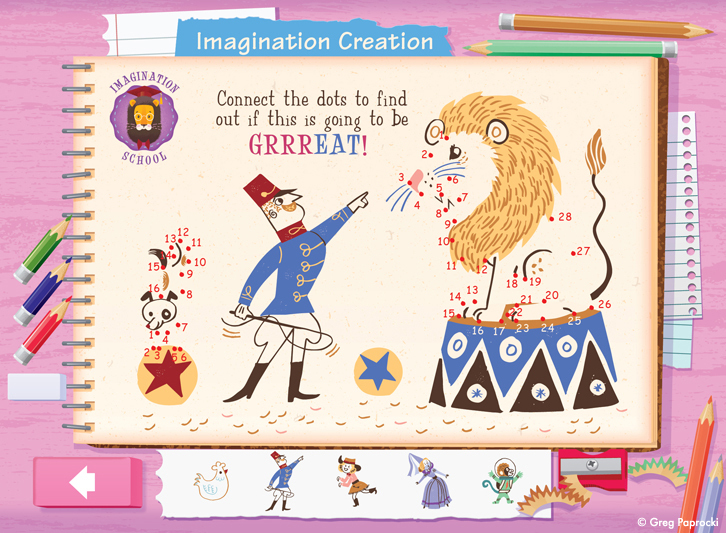 Greg has again partnered with Dewey Automation to bring connect-the-dots to tablets. 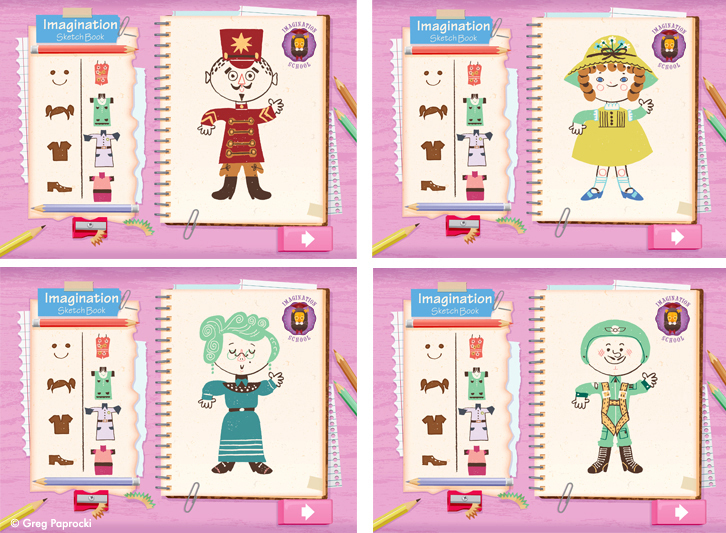 Kids and parents alike will adore the sweet, throwback quality of Gregâ€™s illustrations. 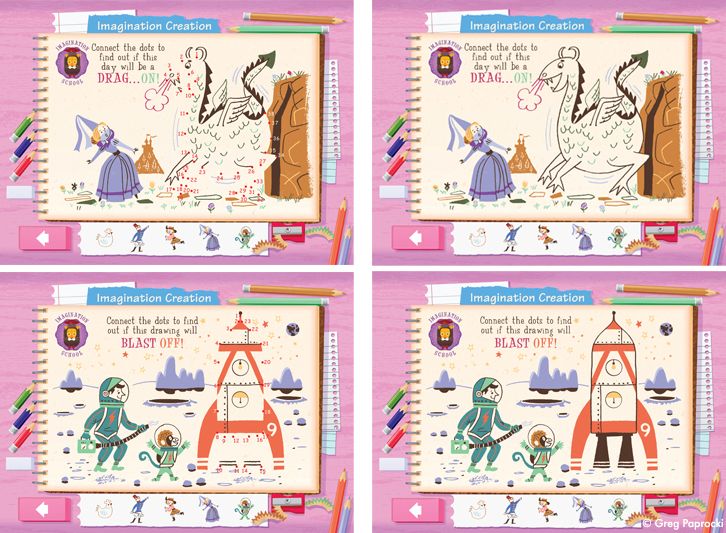 Teaming up Dover Publications, Greg created these kinetic street styles in 2D. 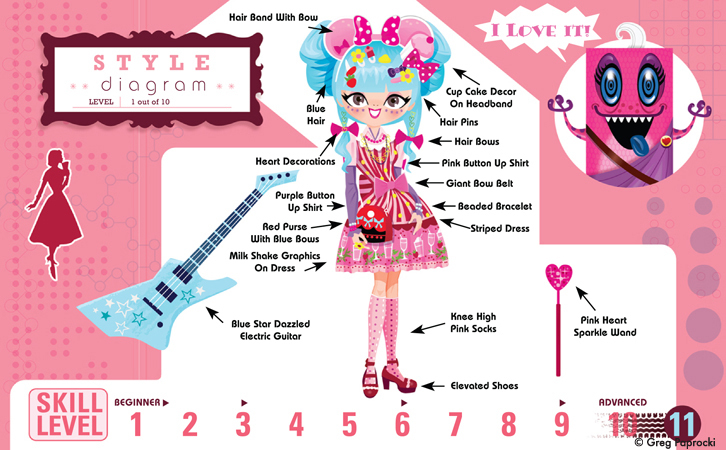 Inspired by Victorian Gothic, glam and manga fashions, he focused attention on the bright colors and over the top, cartoon-like accessories. 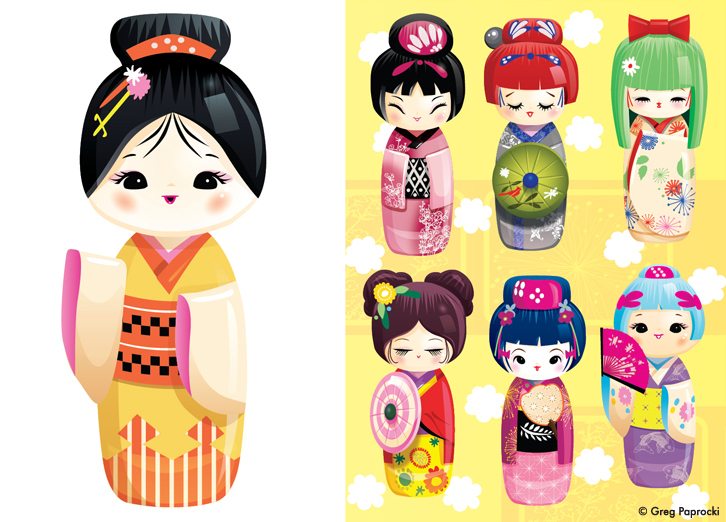 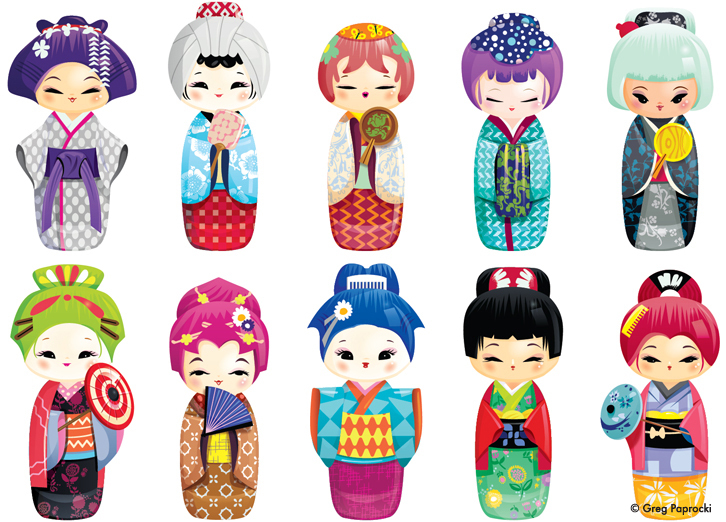 Teaming up Dover Publications,Â Greg uses the traditional Kokeshi dolls to create these breathtaking and gentle beauties.